The company is planning a dramatic increase in such models, the first of which will be a plug-in petrol-electric version of the ASX SUV that will go on sale in January 2013. A supermini-sized electric car and a small petrol-electric SUV will be unveiled in late 2013. Longer-term plans include replacements for the Evo performance saloon and the Shogun SUV, which are both due to get plug-in hybrid power. Mitsubishi has also admitted that it is keen to re-enter the family saloon market. It has not offered a car in this class since the Galant went off sale in 2003. 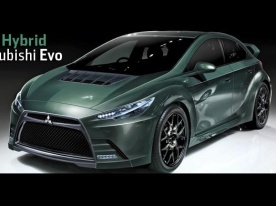 However, according to Hiroaki Ohtsuka, Mitsubishi’s global design director, the company feels this sort of car would make it a much stronger brand.